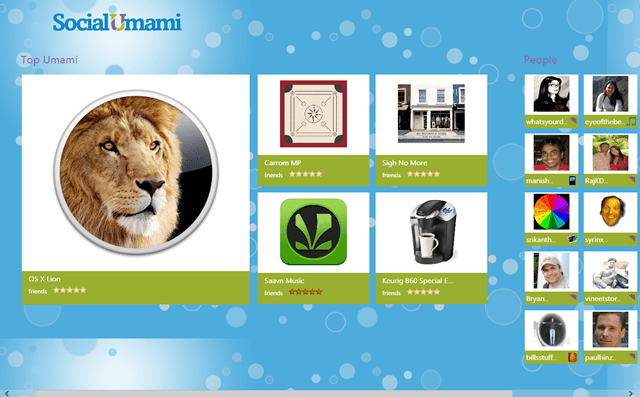 Social Umami is a free Windows 8 shopping App with the help of which you can do online shopping and socialize at the same time. This is a place where you can find a number of cool gears and gadgets to explore and at the same time you can socialize with other people and can make new friends. 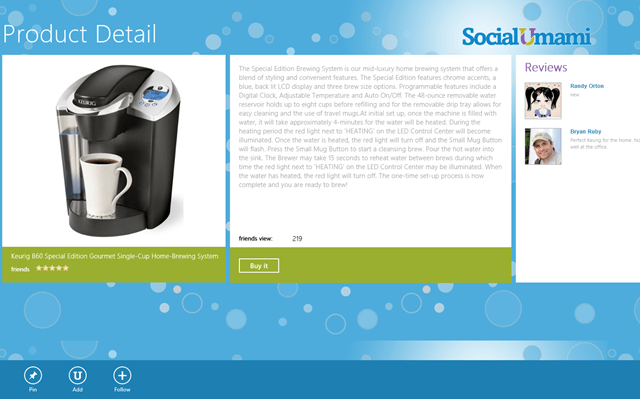 This is a Windows 8 app for Social Online Shopping. You can easily find a number of amazing products recommended by your friends and social groups. Unlike other online shopping sites, this is not the shopping cart where you just have to browse through all the items. Here, your friends recommends you the products they like or they would like you to purchase. You can easily check on the reviews given by them and can easily judge the product by their reviews. You can look at the interface here where you can select the items and can check other people’s profile for the products they like and they reviewed. You can also check the followers of those products and who they are following. You can easily add the product to your shopping cart and but that product. You can easily check the product specifications and can also check the reviews given by your friends on that product. Just login with your Facebook account and start your shopping. You can also follow the item by simply clicking the following button. You can simply click on the person’s profile and check on their recommendations about each and every product. And, then its the same procedure for buying that product. 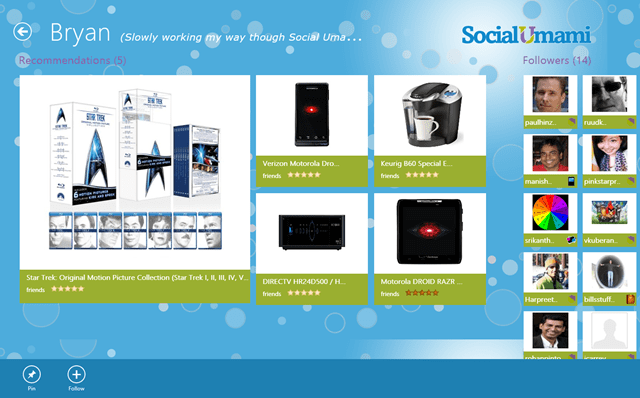 So, install this Windows 8 shopping app for social shopping and buy & make friends at the same time.